Folks in LCSG are very excited to meet Mr. Khaw Boon Wan in person. 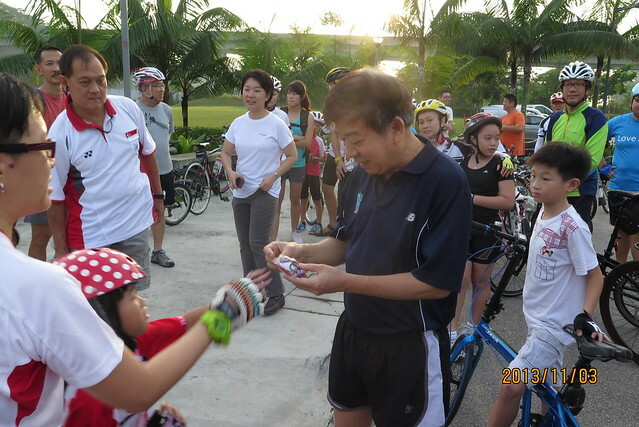 he bring his team from MND together with friends from NPark, URA and HDB to join our Sunday morning ride at Punggle Water way. 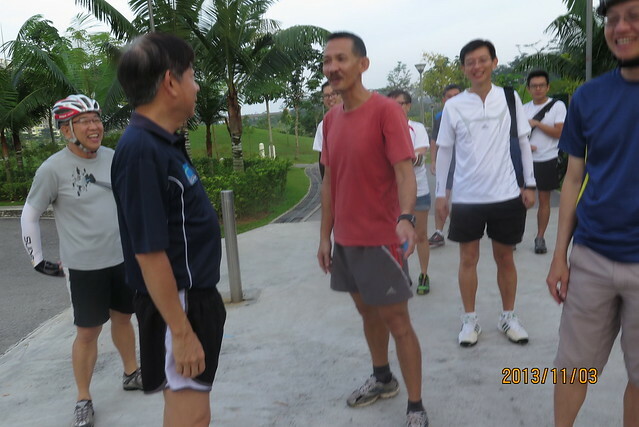 After riding and talking to him, I’m very impressed by the works done under his ministry (URA, NPark, HDB). Cycling is now a wonderful leisure activity along the 200km of PCN today. Within HDB towns, thanks to the traffic calming and people friendly design, more and more people are able to use bicycle to go to nearby markets, food centres and MRT stations. He believes cycling is not only efficient and green, it is also a great medium to connect people and communities together. Thank you Mr. Khaw! 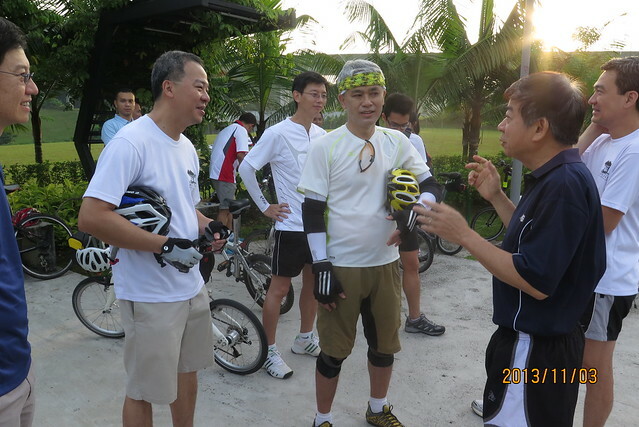 Lang Ng and Jok Kwang chatting with Mr. Khaw just before the ride. 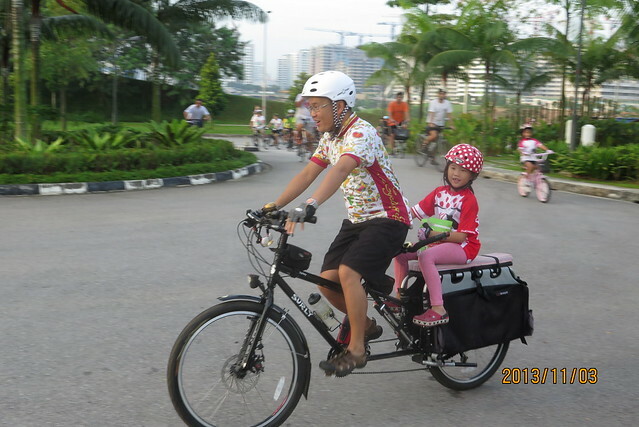 Photo at the starting point : Punggol Water Way. This entry was posted in Uncategorized on 2013-11-04 by Francis.